We believe part of the enjoyment of a luxury villa holiday is to experience an authentic event or festival celebrating the local history and culture. 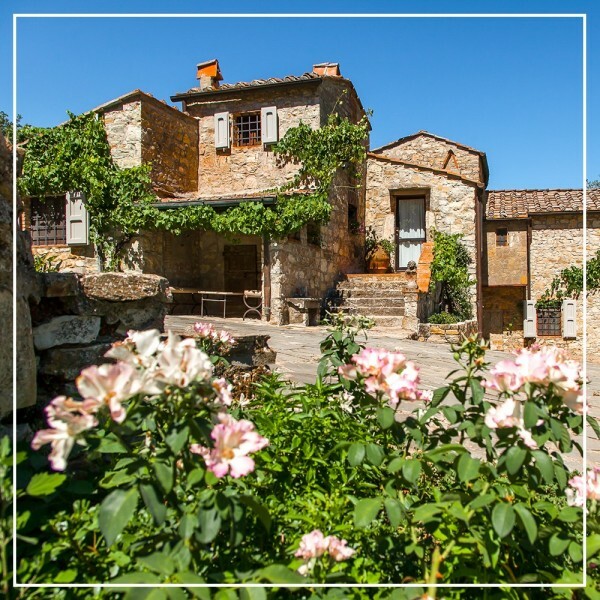 And you're in luck because the famed Tuscany offers a wonderful annual tradition of summer festivals throughout the region! Read on for our hand-picked selection of six very different festivals in our favourite areas of Tuscany…. but there are many more! 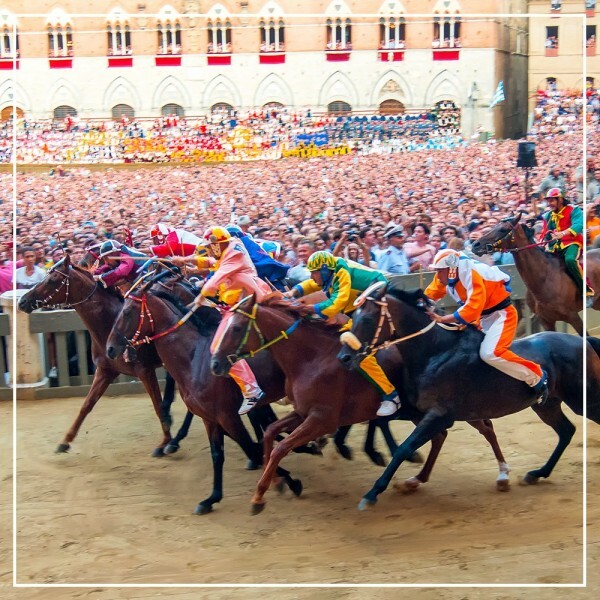 Arguably the most well known Tuscan summer event is the Palio in Siena, which takes place on 2nd July and 16th August every year. The origins of the Palio go back as far as the 11th century, when it was first launched to celebrate Saint Mary of the Assumption as protectress of the city, at the time of its conflicts with the Florentines. In fact, according to historical records, horse races in Siena were already taking place from the 6th century. The actual race takes place around the magnificent Piazza del Campo, and the racers represent the 17 contrade (areas in which the city is divided). Each contrada has its own unique emblem and colours. 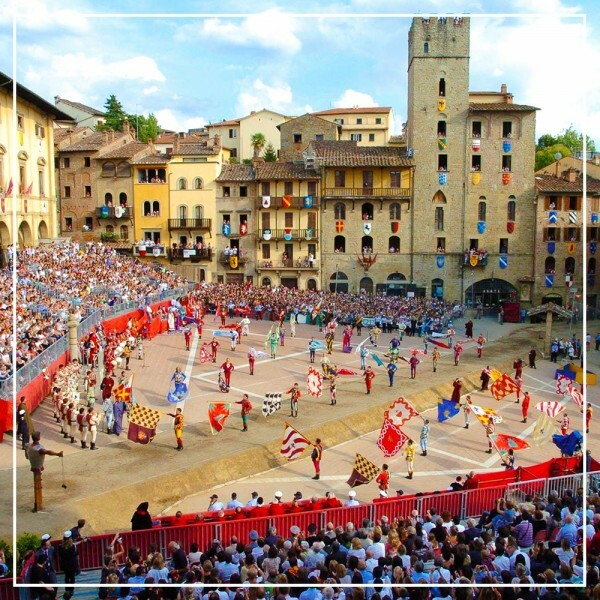 The Palio takes place over four days with the actual race taking place on the 4th day. Ten out of the 17 contrade take part in each race: seven of them being those that did not participate in the previous race, while the other three are drawn by lots. Each of the contrade picks their jockey, but not the horse which are also drawn by lots. If you arrive early morning, it is possible to find space for standing room in the piazza. But tickets can also be bought to watch from the balconies of the buildings which surround the piazza, although this can be an expensive option, depending on the owner of the building. We do offer an apartment to rent right in the Piazza del Campo, so check with us for availability if this is of interest. 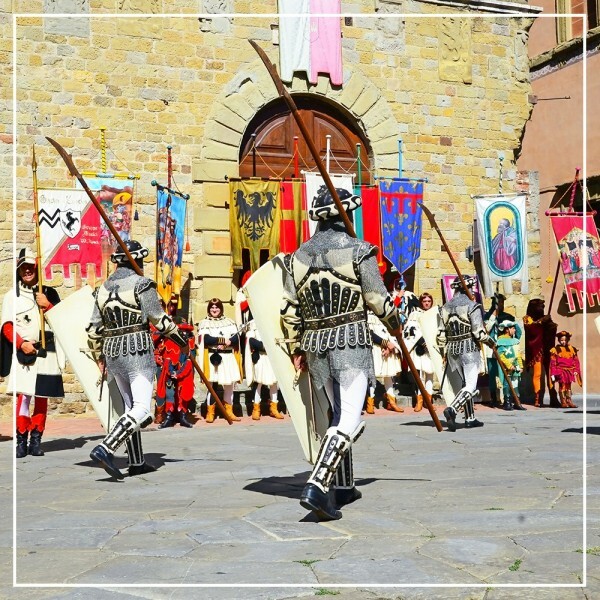 Monteriggioni is a stunning, historic hilltop town near Siena, and the Medieval Festival which takes place here from 5th – 14th July every year, will transport visitors back to life as it was in a medieval village. The imposing original fortressed walls and towers of the town can be seen from the main road which leads from Florence to Siena. For the two weeks in July, visitors will experience an era when knights, damsels and jugglers used to walk its streets. The festival features dances, music, shows and traditional craft workshops, including live performances, music, dances, theatre and, the opportunity to taste typical and traditional delicious recipes of the area. Easily accessible from Siena and the Chianti area, this is one of Tuscany‘s most popular festivals. It doesn’t get more Medieval than this! Like many Tuscan towns, the historic centre of Arezzo is on a hill, in a defensive position, while the lower part of the town is more modern. 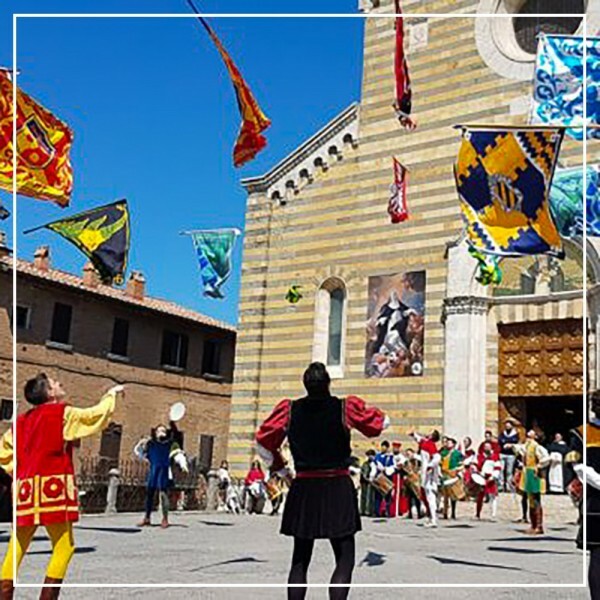 The historic higher part of the town is predominantly medieval, and the medieval festival here, the Giostra del Saracino takes place twice a year, on the third Sunday of June and the first Sunday of September. 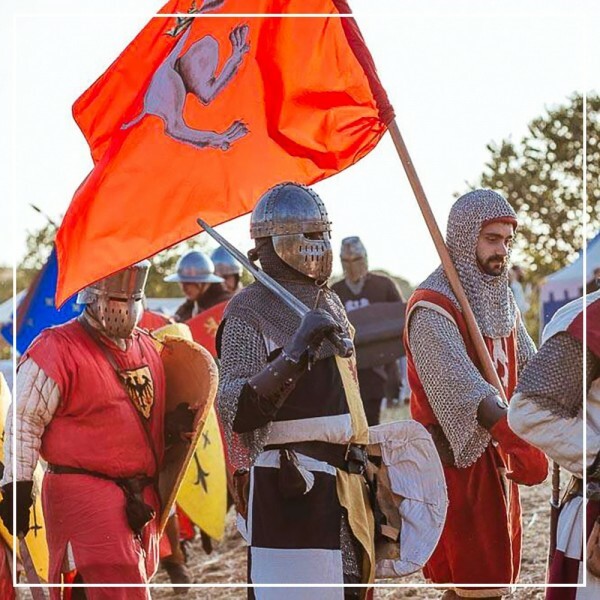 If you are near Arezzo on either of these dates, you might like to experience being a spectator at a very authentic medieval joust, complete with historic costumes, flags, swords and medieval music. This year, at 8.30pm on 23rd June the parade leaves Piazza Duomo to reach Piazza Grande where the joust starts at 9.30pm. For the joust on 2nd September the parade starts at 3pm in Piazza Duomo and the joust begins in Piazza Grande at 5pm. The tournament is between four rival neighbourhoods, each represented by two knights. The eight knights compete to win the Golden Lance by hitting the shield of Buratto (a puppet symbolising the King of the Indies). At the same time, they are trying not to be hit by the mezzafusto (a medieval weapon held by the Buratto). Each knight gallops on horseback with a wooden lance and aims at the Buratto and its shield. The tournament is won by the neighbourhood whose knights obtained the most points. 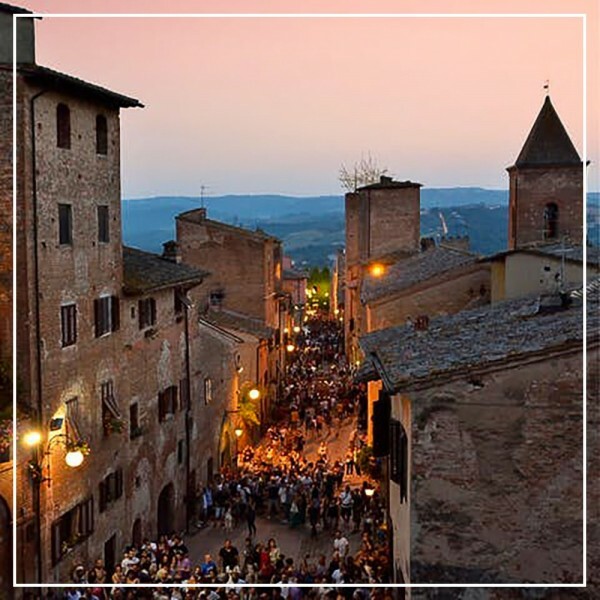 Famous for its excellent red wine, the annual festival in the picturesque, historic town of Montepulciano features a wine barrel race! The festival in fact dates back in 1373 when it was a horse race, not unlike the Palio in Siena. However, it was changed to a barrel race in 1974, and remains a competition between the eight contrade (historic districts) of Montepulciano. The swapping of the horse race for a barrel race is because the oak barrels are an important symbol of Montepulciano, with the famous local wine, Vino Nobile di Montepulciano, being stored and aged in them. Taking place on the last Sunday in August, the different contrade challenge each other during the race for Bravio (a colourful banner with the city's patron). 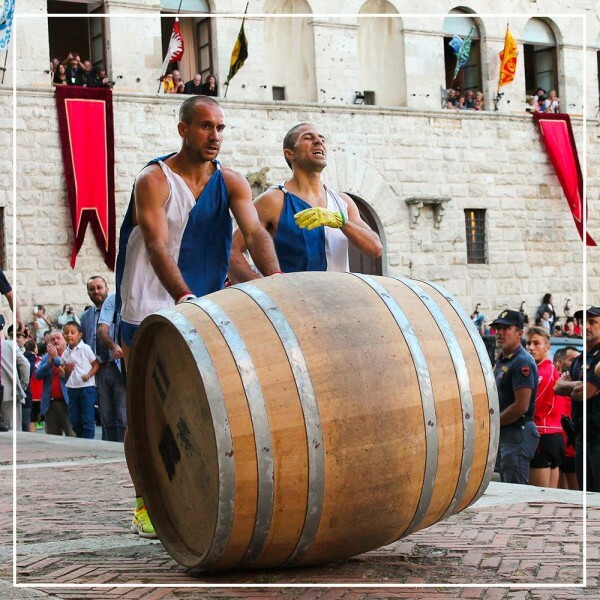 The race is not as simple as it sounds, as the barrels are heavy (80 kg), and pushed by two men for about 2 kms up the charming narrow winding streets of the town, ultimately ending in the main piazza, the Piazza Grande. The route is always established ahead of time and there are eight starting points organised in two lines. Each district’s barrel is positioned in a designated space determined by a morning draw, and the race starts with a bell ringing in the Torre del Palazzo Comunale. During the week before the actual race, you will see the competitors parading through the main square, as well as many residents dressed in Renaissance costume. Just 35 kms south west from Florence is the charming Tuscan town of Certaldo surrounded by its medieval walls. The town comprises two parts, the ancient Certaldo Alto on the hilltop, and Certaldo Basso, the modern part of the town in the valley below. 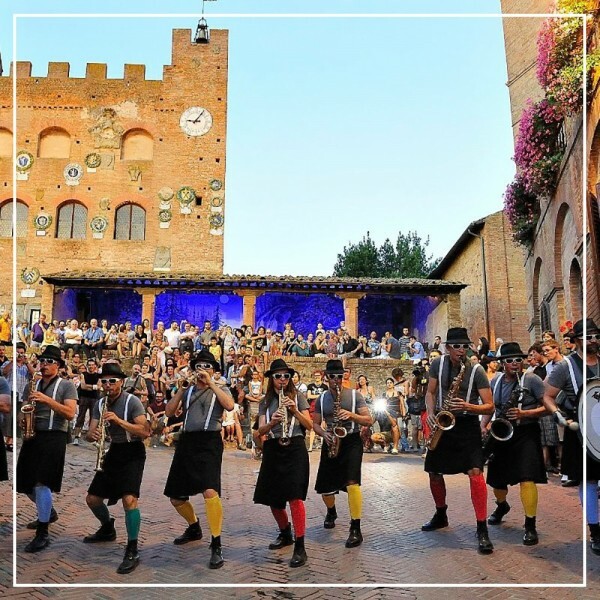 The Mercantia festival takes place from 10th – 14th July in Certaldo Alto, the historic upper town, which can be accessed by either funicular or on foot. 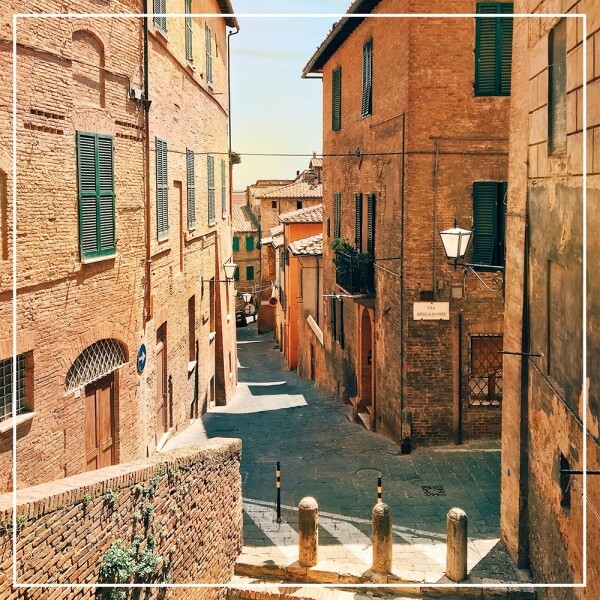 The views from Certaldo Alto offer a stunning backdrop to the actual festival, while Certaldo Basso is packed with street stalls selling various arts and crafts, including jewellery and clothing. For five evenings during the festival, guests will be entertained by performers including clowns, acrobats, magicians, actors and musicians. There will be story tellers for younger visitors, as well as puppet shows and trapeze artists, as well as bands and dancers. When you arrive at the Mercantia Certaldo, you can leave your car in the lower part of town in one of the parking areas, then collect tickets from the office in Piazza Boccaccio. Ticket prices can vary as the weekend events are more expensive. The festival offers a wonderful opportunity to travel back in time in a beautiful Tuscan town. 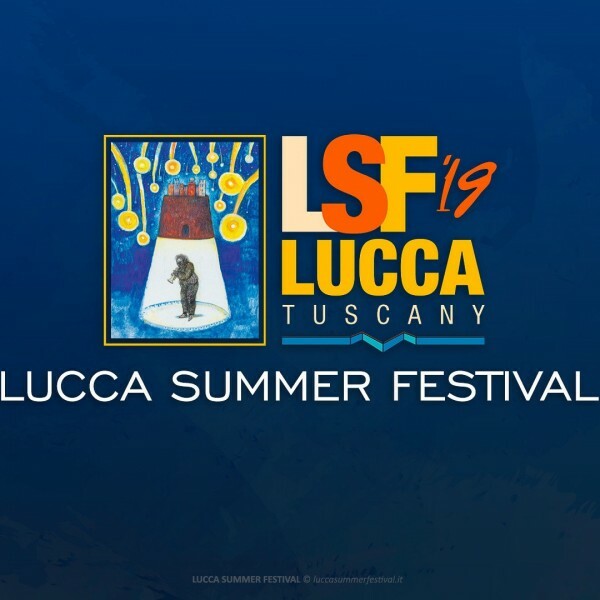 The Lucca Summer Festival is an annual month-long music festival held right the historic centre of the beautiful walled city of Lucca. Acknowledged as one of the most important music festivals in Italy, it always hosts a diverse selection of internationally renowned musicians. Held within the historic walls, the venue for the festival is one of the famous piazzas, Piazza Napoleone, Piazza San Martino or Piazza dell’Anfiteatro. 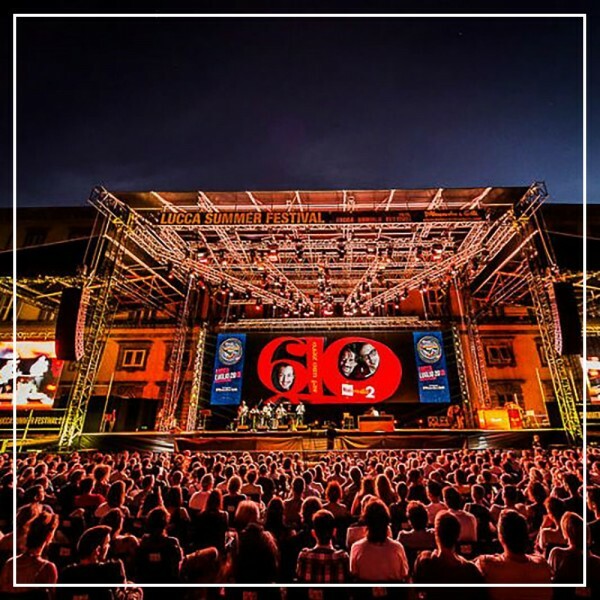 The 2019 event will take place in Piazza Napoleone and starts on 28th June with a concert by the British pop group Take That. Other artists announced for this 22nd year of the festival include Elton John, Tears for Fears, Mark Knopfler, American rapper Macklemore, German bank Scorpions, and Italian singers Francesco de Gregori and Eros Ramazzotti. For more information and summer festival dates throughout Tuscany, click here. 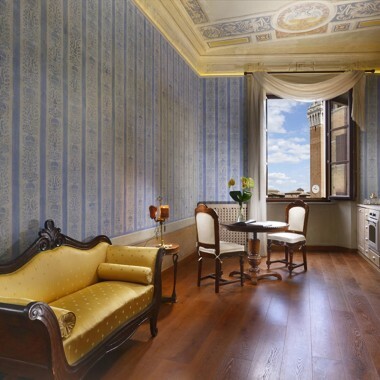 This beautiful one bedroom apartment to rent in Siena is in a historic Palazzo, dating from the 14th Century, and declared by the Italian Ministry of Heritage and Cultural Activities a Monumental Building of national interest. 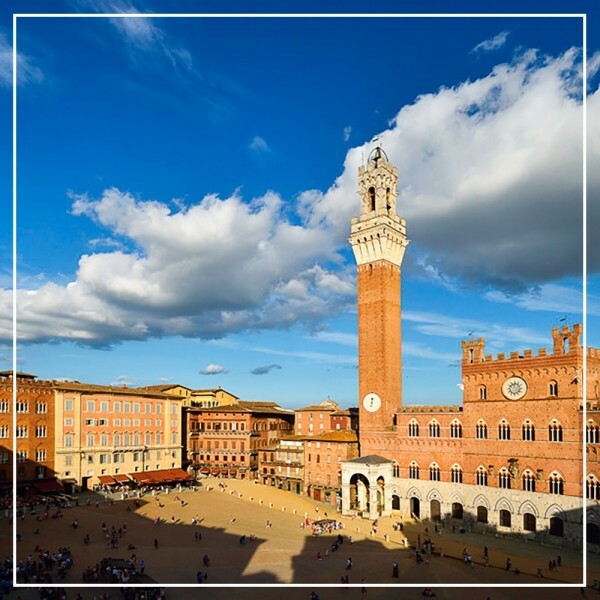 Moreover, it is located in the Piazza del Campo, one of the most beautiful squares in the world, and where the famous Palio is held twice a year. 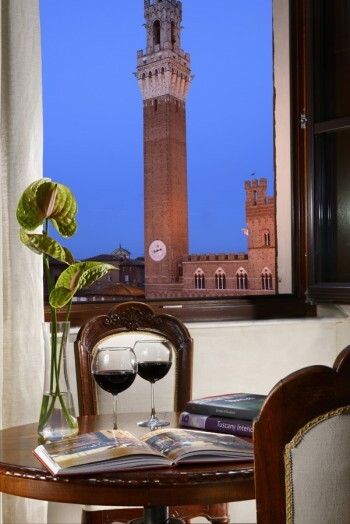 Completely renovated in 2014 and restored to its former glory, retaining historic features, including original frescoes on the ceilings and original hand-painted murals on the walls, it benefits from unique, expansive views of the Piazza del Campo, with an especially impressive view of the Il Mangia Tower. Tours of Siena can be arranged on request by the owner, and also to surrounding areas, including wine tastings. Situated in the beautiful hills of the Chianti wine region, just 6 kms north of the charming town of Castellina in Chianti, this luxury villa rental in Tuscany is a newly restored 17th-century property with panoramic views over the countryside of vineyards and olive groves. 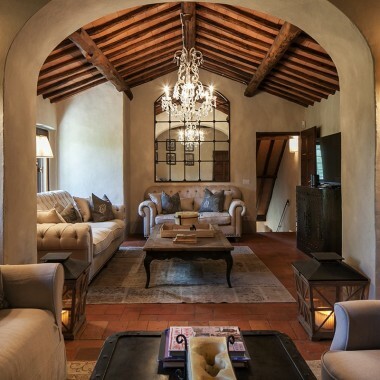 With lovely interiors, including 5 bedrooms, the villa also offers wonderful outdoor spaces. Guests here can enjoy relaxing by the swimming pool and dining in one of the al fresco dining areas, including a wisteria-covered pergola perfect for evening meals. 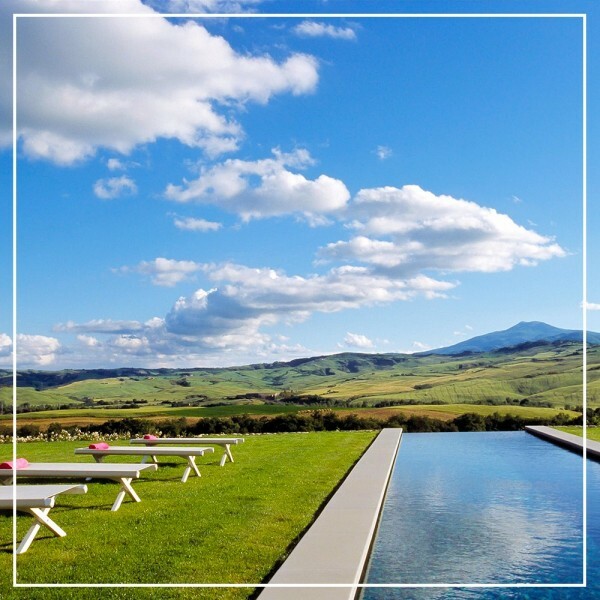 This luxury villa to rent in Tuscany sits on top of a hill in the beautiful Val d’Orcia, with stunning views over the landscape, and just a 15 minute drive from the historic hilltop villages of Pienza and Montepulciano. ﻿With 8 very spacious bedrooms, sleeping up to 19 people, the villa is surrounded by 3 acres of landscaped gardens, which include a heated infinity swimming pool (20 x 4m), and a separate hot tub. There are terraces for alfresco dining, a barbecue and professional brick oven, as well as a vegetable garden which guests here can use. 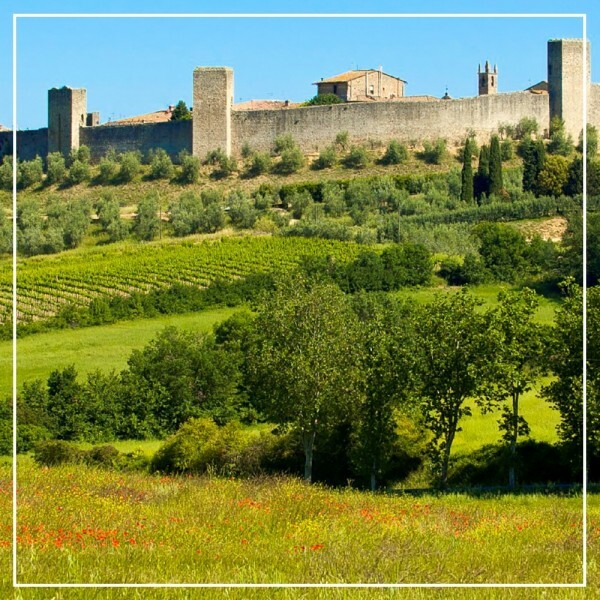 A Unique Sienese Experience and a Special April Offer! 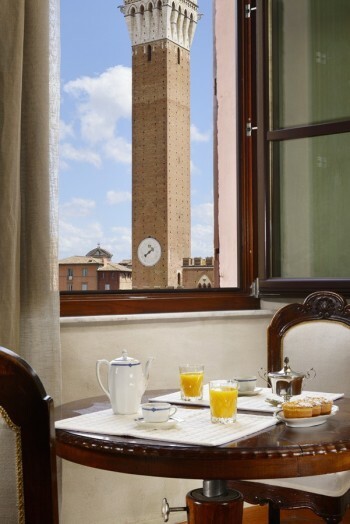 A Siena apartment offering direct views of Il Palio!